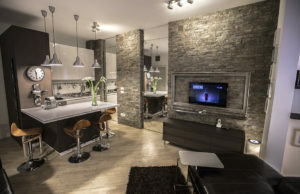 Nice and modern apartment Maslacak is located at Belville in New Belgrade business and financial hart of Belgrade. Belville is a miniature city in the midst of the Serbian capital Belgrade. It has unique location and attractive zoning within complex. 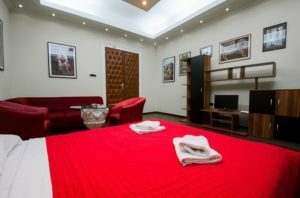 The apartment is equipped with TV, hair dryer, bedding, towels… In addition you can find in apartment: cable TV, internet connection and WIFI. If you like to run, jog or ride a bike there are bike and walking trails available to you on the Savas quay. Apartment Maslacak is surrounded by new, wide roads that provide quick and efficient connection with other parts of the city. Near apartment is the highway, main city bridges, river Sava and the new bridge at lake Ada. In close neighborhood are located important business and shopping facilities and sports facilities surrounded by lush green areas.